Your career at the Trust is a journey. The destination is up to you. 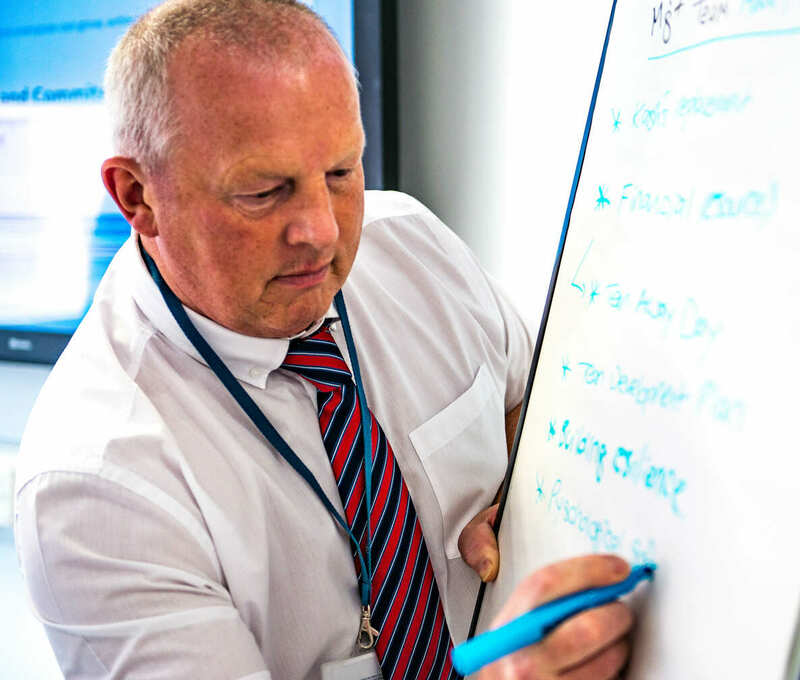 One thing is certain - along the way, we’re committed to ensuring you can talk about your learning and development needs and aspirations with your manager. We provide a wide range of in-house learning and development opportunities. It all begins with a thorough induction. Throughout your career you can benefit from opportunities ranging from Preceptorship, to leadership development, to specialist skills training and in-house coaching. You can access an online directory of courses, and agree the right choices for you with your manager. We care about your development. So naturally, we care about your views. There are a number of ways in which we’ll seek your opinion on what’s going on in our hospitals, the challenges you face and how we can all improve, together. A variety of forums give staff the opportunity to meet with the Executive Team, to discuss new ideas and review working practices. Team briefings and weekly newsletters help to keep everyone informed. And every year in our staff survey, we collect and share everyone’s feedback. We’ll ask for your views on a range of areas that affect your everyday working life – from training and development, to equal opportunities. The results of the survey lead directly to action plans for making things better. What’s more, every quarter we pose a range of questions focused on what the Trust is like as a place to receive care and to work, so we can respond faster. We are passionate about investing in good leadership. That means ensuring our managers have a solid grounding in leadership skills. But most importantly, it also means making sure all our people have the confidence and ability to lead improvements in the quality of care we provide. Our portfolio of leadership programmes are accessed by everyone from aspiring managers to directors. We strongly believe that you have the right to an appraisal every year. It’s a great way to give you the chance to reflect on your work and identify your learning needs, so you can be your best. We train our managers to ensure they discuss your performance and development needs in a way that you’ll find constructive and motivational. From your appraisal will come a personal development plan that gives you exciting goals to work towards, and rewarding challenges to help you grow. It is our people who help the Trust to excel, every year. To recognise that fact, we developed annual and monthly awards. These are our way to acknowledge and reward the fantastic achievements of our staff who go the extra mile each day – from the care they provide to the bright ideas they bring. Winners of our annual awards are invited to attend a Gala dinner where their achievements are showcased and celebrated in style.